LONDON - Whitehall is proving a popular place for marketers wanting to see out the recession. As the economic down-turn wreaks havoc with job opportunities in the corporate world, marketers are scrambling for public-sector roles. 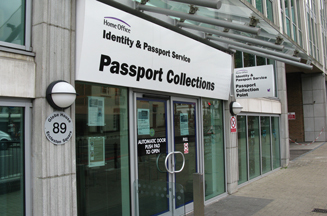 Former Lloyds TSB and Heritable Bank marketer Alan Gilmour is a case in point, having just been hired as director of marketing and customer insight at the Identity and Passport Service (IPS) ('Passport service hires ex-Lloyds chief', Marketing, 11 March). Gilmour's role at Heritable Bank, owned by the now-nationalised Icelandic bank Landsbanki, came to an end in October, when, along with sister bank Icesave, the company crashed as a result of the financial crisis; it is now in administration. At IPS, Gilmour will take on the controversial task of promoting the introduction of identity cards in the UK. Elsewhere, in January, former Scottish Widows marketing director Mike Hoban took up the role of communications director for Directgov, the digital hub for central government's 1500 websites. He now oversees a communications budget of £15m to promote the site, a TV ad campaign created by MCBD and a team of 30 marketers. Hoban says the dash for public-sector employment has sparked a surge in applications for government marketing jobs. Last year these posts would have received only a handful of applications, now they are attracting up to 100. Hoban has noted that visits to the Directgov website from people with employment and training queries have rocketed in recent months. He believes the public sector is more likely to produce strong marketing that serves customers, than the private sector, where the interests of customers conflict with those of shareholders. 'Just look at the downfall of the banks - the accountants won over the marketers,' he says. Frequent re-organisations of government departments are also opening up opportunities for marketers. Both Hoban's role at Directgov and Gilmour's position at IPS are newly created, senior jobs. This month, five marketing posts have been created at the Department for Work and Pensions, following the merger of the Pensions Agency and the Disability and Carers Service. The creation of the IPS in 2006 as an 'executive agency' - a unit such as the COI working independently of a ministry but reporting to the minister - has necessitated the creation of a new marketing department. As a separate agency, IPS does not draw on the marketing expertise of the Home Office. Another nascent executive agency is the UK Border Agency, which regulates immigration. 'You have to multiply the marketing structure every time you form a new executive agency,' says one source. There seems to be no let-up in government marketing. The COI increased its spend last year by nearly a fifth to £178m, according to Nielsen. The information body employs about 700 people, so, inevitably there is a high turnover of staff. A spokeswoman says 70% of its employees come from a private-sector background. The downturn could mean certain government departments expanding their teams and hiring marketers in the process, argues Paul Farrer, chairman of recruitment consultancy PFJ. 'HM Revenue & Customs will try to bring in people from the private sector because they are seeing revenues hammered, and other bodies, such as police and teacher recruitment, are all areas where they are likely to need marketers,' he says. State sector marketing jobs are certainly being created in the health service, as part of the government's 'Patient Choice' agenda, which gives hospitals the go-ahead to run marketing campaigns. The downside for senior marketers joining a government department is that they will probably have to take a significant pay cut. At middle-ranking levels, private and public-sector employees earn similar salaries. In the upper echelons, however, pay can be three times greater in the private sector. One source says that while a senior bank marketer may earn somewhere in the region of £350,000 a year, they would be unlikely to make more than £100,000 heading a government marketing department. Marketers looking to escape the recession and unemployment by moving to the comparative safety of the public sector face stiff competition for a government job. However, for those who succeed, their communications budgets, at least, should be secure. Unless, that is, a Conservative government comes to power and carries out its vow to cut Whitehall's spend by half. What will happen to the Marketing Class of 2009?